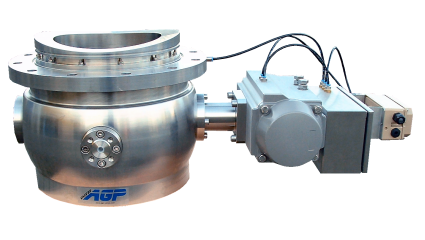 Segment Ball Valves are the most sanitary valves on the market. or closed where product can collect or build. or can replace out-dated valves in the overhaul - revamp market. 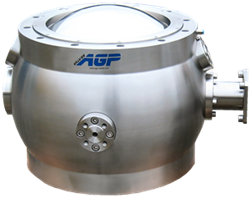 AGP GmbH´s Segment Ball Valve is a sanitary, simple design and low in maintenance. 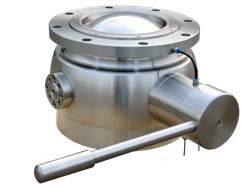 This valve can be used in a wide range of industries. prevent product from damaging or shortening the seal's lifetime. 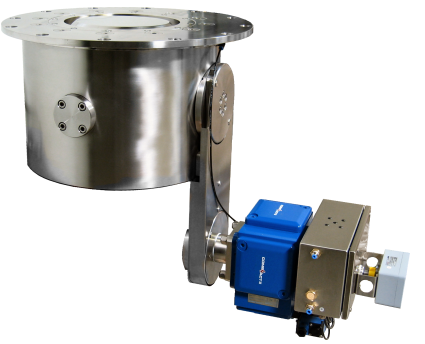 a unique feature implemented in the valves Control Unit not only deflates the seal but also completely retracts it from the segments surface. to the valve's moving components. 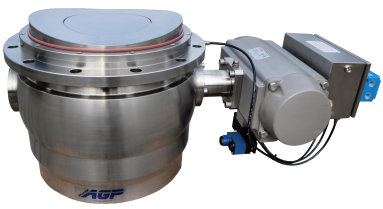 because of the special maintenance-free type of bearings that are used to support the valves Segment. Materials: - Product wetted parts: Stainless steel 1.4404/316L. Alternative grades on request. -Inflatable seal for example FFKM (Perfluoroelastomer), EPDM and Viton. © 2009-2010 rvh-web All rights reserved.